Sigma 24-70mm f/2.8 DG OS HSM A Lens - Canon Fit. 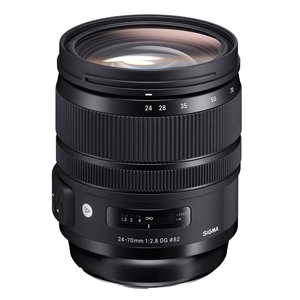 The Sigma 24-70mm F2.8 DG HSM OS Art is a premium workhorse zoom lens designed for the latest high megapixel DSLRs. A constant aperture of 2.8 through the zoom range makes this a highly versatile tool and a brand new Optical Stabilization (OS) system helps compensate for camera shake. 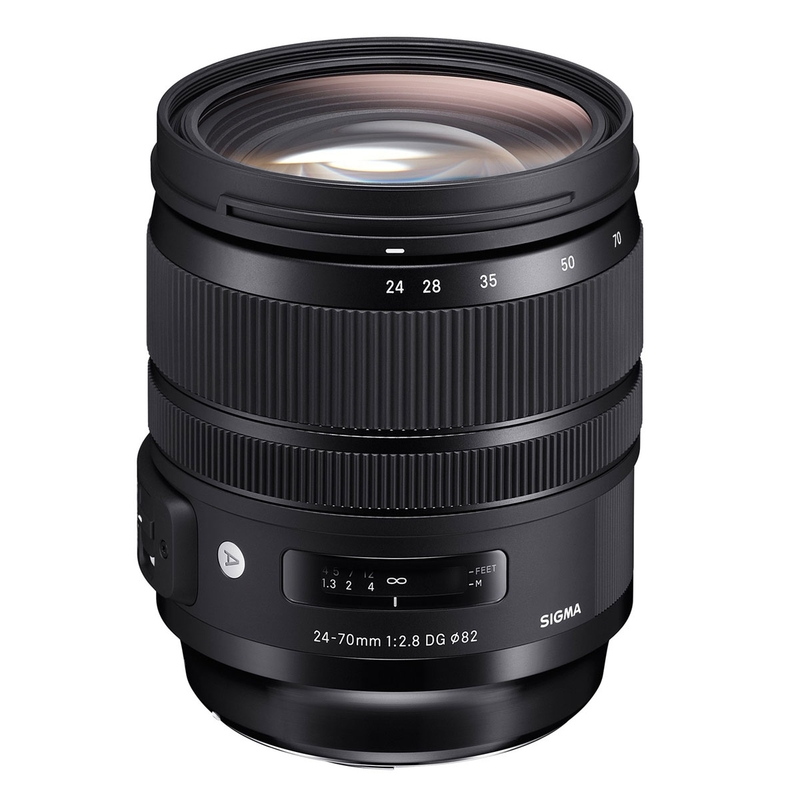 Though a common focal length, the Sigma 24-70mm Art brings a new level of usability and durability featuring a rugged metal barrel and an emphasis on image quality. Building off the experience from the 12-24mm Art, the aspherical elements used in the 24-70mm F2.8 OS Art undergo a highly precise level of polishing, producing elements thicker in the center than on the edges. This process creates stunning image quality and beautiful circular bokeh. Like each and every Global Vision Lens, the Sigma 24-70mm F2.8 DG HSM OS Art is handcrafted at our single factory in Aizu, Japan and undergoes individual evaluation before leaving Sigma’s facility. Best lens I ever had. I recommend.